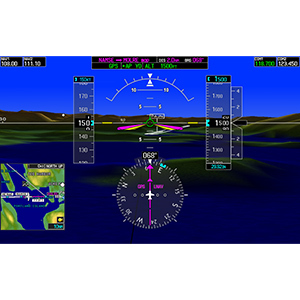 G5000 features one of the most intuitive pilot-vehicle interfaces available in any business jet avionics system, completely revolutionizing the way you access your flight data. 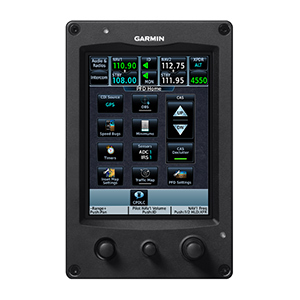 Up to 4 GTC touchscreen vehicle management controllers act as the gateway to your entire avionics suite. 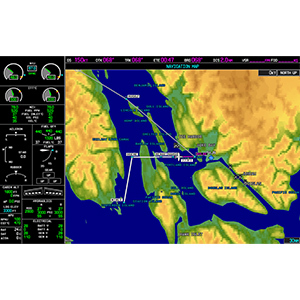 Responsive, icon-identified “touchkeys” make functions easy to locate and access with fewer hand/eye movements in the cockpit. 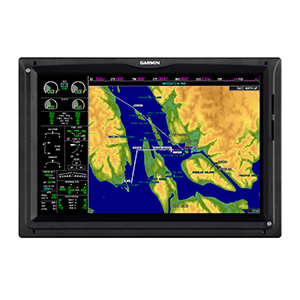 With a few finger movements, you have complete control over your navigation and communication systems, traffic surveillance systems, flight management systems, electronic checklist entries, and remote audio/intercom system, as well as optional charting, traffic, weather, entertainment and custom display options*. 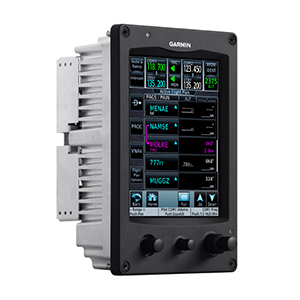 The GTC controller can even double as a standby flight display in some configurations. 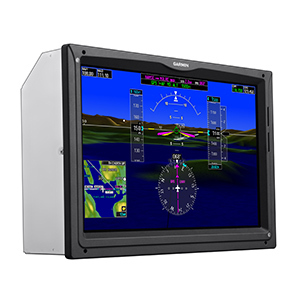 With its touchscreen controls, G5000 eliminates visual clutter. Mechanical knobs, buttons and selector switches have been replaced with a series of large, WXGA high-resolution displays. 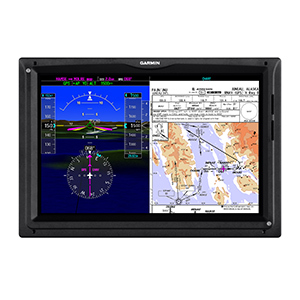 Each all-purpose display can function independently as a Primary Flight Display (PFD) or Multifunction Display (MFD). 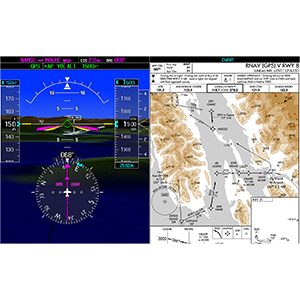 These displays can also function in multi-pane mode, displaying both PFD and MFD side-by-side on the same screen. 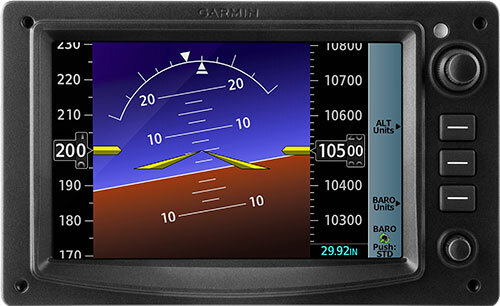 Your PFD’s widescreen aspect ratio provides a panoramic view of our renowned SVT™ Synthetic Vision Technology. Using the system’s terrain alerting database, SVT enhances your situational awareness by creating a “virtual reality” depiction of ground and water features, obstacles and traffic in proximity of your aircraft. You get a realistic picture of what lies beyond the nose of the plane — even in solid IFR or nighttime VFR conditions. Divide MFD capabilities into 2 vertical pages on your secondary display. 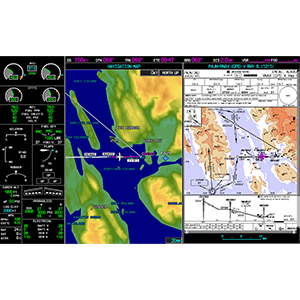 This lets you choose what to pair and display at any point during your flight sequence — such as airway charts and approach plates, or satellite weather and flight planning. Traffic, radar, TAWS alerts, video inputs and more are right there at the touch of a screen. 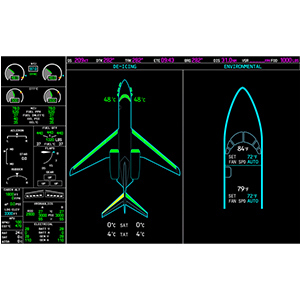 Graphical synoptics for airframe, electrical and fuel systems offer easier monitoring and faster troubleshooting. Plus, the new displays allow for enhanced viewing and management of multiple sensor inputs — making your MFD even more powerful. 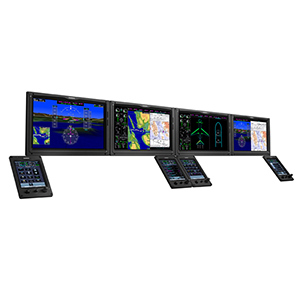 G5000 is highly configurable and upgradeable. It can support technology as it becomes available, including NextGen and SESAR. Options, such as traffic receivers, satellite weather and communications and digital radar, can easily be added. Database and software updates are easy to handle with the system’s built-in SD™ card reader. And our #1 ranked Product Support is always at hand to help. *Suggested applications may require optional equipment, sold separately. Specifications and descriptions are preliminary and subject to change without notice. Standard and optional features will vary based upon the specific implementation chosen by the airframe OEM.